Put us in your Favorites! Howdy! We're glad that you found our Website & hope that you enjoy your visit. Please Sign the Guest Book before you leave & come back often! AND>>>Check out my Promo Website, Click Here! To listen to the special Western music, playing on the Website pages, Click here to Download Real Player FREE! Secular ads that you see on the page top. Check back soon Partner for more on this site. Featuring More about our two Favorite Western Stars, Roy & Dale, the King of the Cowboys & the Queen of the West!! 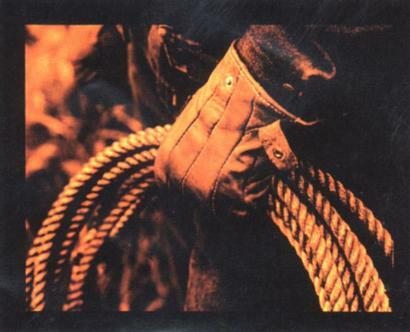 This is not a Replica of our Original Happy Trails Website, this site contains all NEW content. Most of the photos will allow you to click on them to go to the Original Happy Trails site. (Just use your Back button to return here). Welcome to Happy Trails 18 ! If you were using a JavaTM technology-enabled browser such as HotJava, you would see dancing text instead of this paragraph. 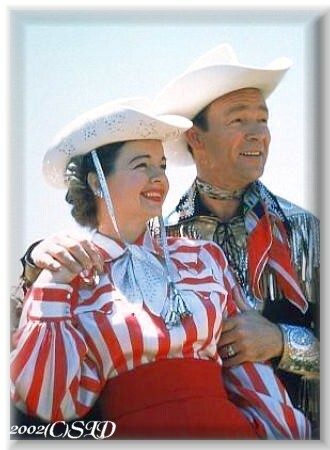 Go To>The Official "Roy Rogers & Dale Evans FANS Message Board"
Favorite Sayings: Click to View List Entries. Copyright © 2002 Webmaster Painted Pony*All rights reserved. Reproduction in whole or in part in any form or medium without express written permission of Painted Pony is prohibited. Cherokee Flats*The Happy Trails*Happy Trails Roy & Dale are trademarks of the Original Painted Pony. 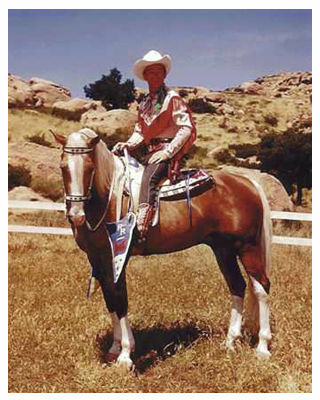 Graphics of Roy Rogers, Dale Evans, Trigger, and Bullet are trademarks of Roy Rogers, The Official Roy Rogers & Dale Evans Web Site. This site, "Happy Trails," is Owned/Operated by Painted Pony.